Our Sunday service starts at 10.30 am and lasts for about an hour and a quarter, followed by tea & coffee and a chance to chat but as Christians we believe that leading the Christian life should be an all-day, every day thing and similarly, being ‘church’ shouldn’t be just an hour or so on Sundays. Church from the Bible’s perspective was so much more and so we complement our Sunday worship with a range of other activities. As Christians our lives are meant to reflect God’s love, so a lot of our activities are for our whole community and not just for ‘church’ people; accordingly, some are the usual church kind of activities, while others are more secular but all of them are part of the life of the church. 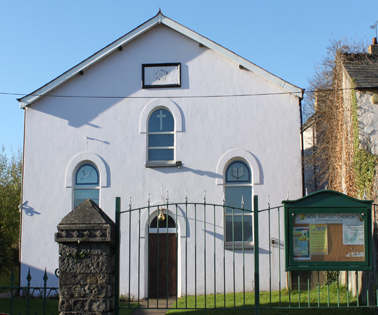 St Michael’s is a thriving church serving the Pantmawr area of Whitchurch and the village of Tongwynlais. The building is over a hundred years old and is built on land donated by Colonel Henry Lewis of Greenmeadow House.